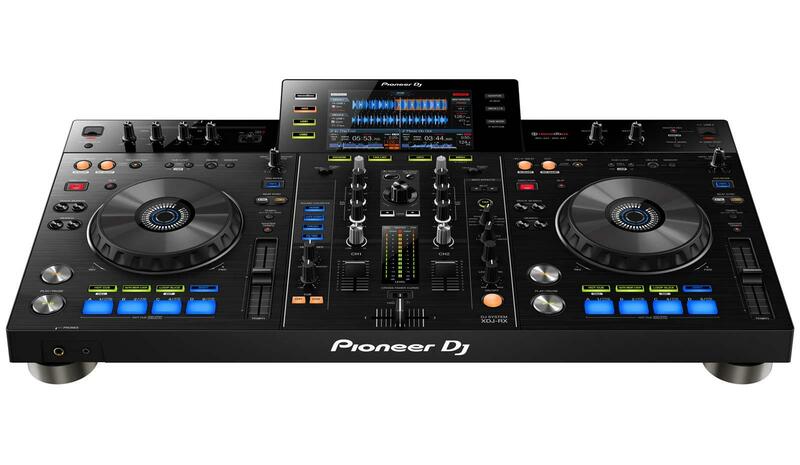 The Pioneer XDJ-RX is a DJ console that incorporates two separate digital players, a mixer, and a built-in monitor. The uniquely designed DJ system is intended for users of the popular Pioneer rekordbox™ music management software, which enables DJs to quickly play prepared music stored on a USB device, eliminating the need to connect or carry a separate computer for use as a music source. 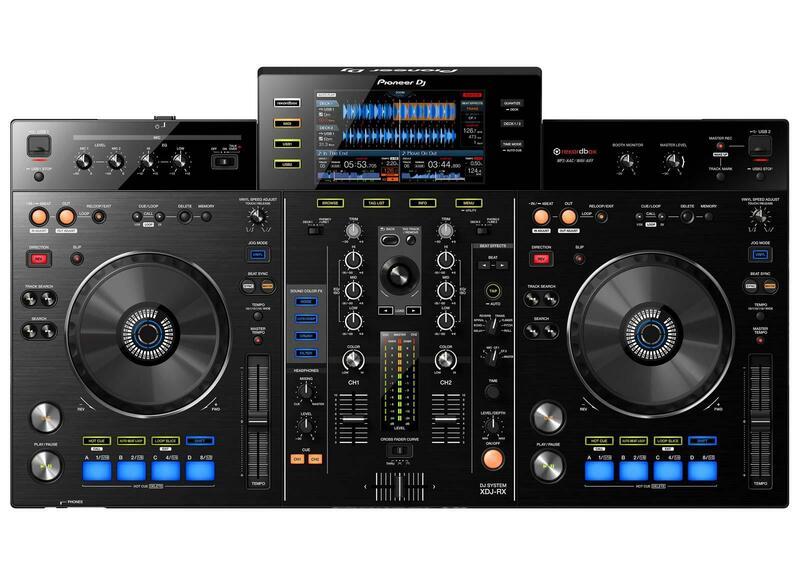 The XDJ-RX’s featured 7-inch LCD screen provides a window of information including simultaneous display of music waveforms from each integrated player. 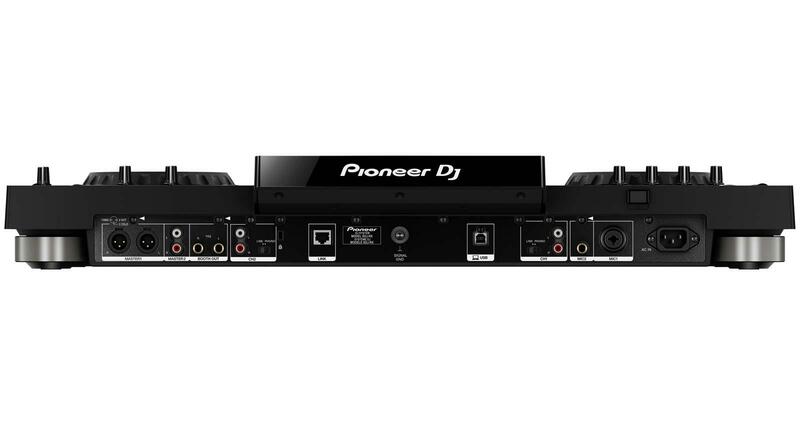 The unit also emulates Pioneer’s well-known professional players with built-in key performance functions including HOT CUE, BEAT EFFECTS, SOUND COLOR FX and a new LOOP SLICE feature. iPhone® 5S, iPhone® 5C, iPhone® 5, and iPod touch (3rd, 4th, and 5th Gen). 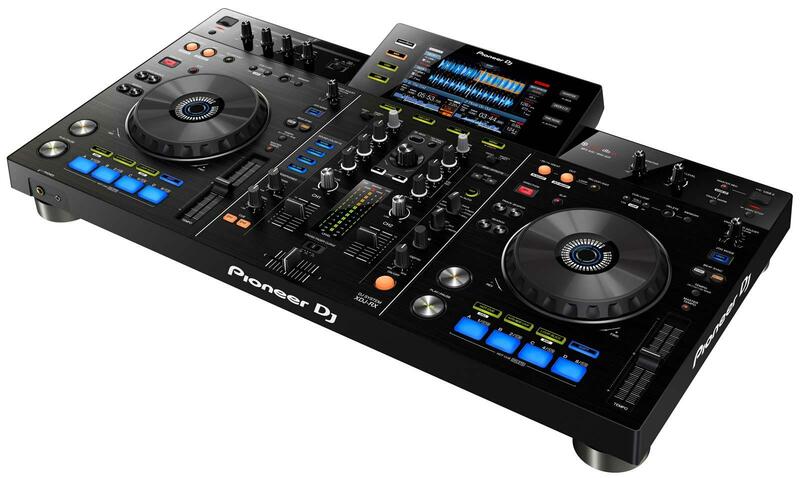 Requires iOS 7, iOS 6, or iOS 5.